midnight-blue tri-blend shirt. WSV logo on front. 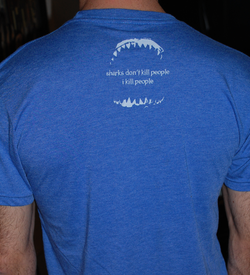 Sharks don't kill people, I kill people on back.